This blue velvet pouch, clutch or purse is your perfect handbag companion. 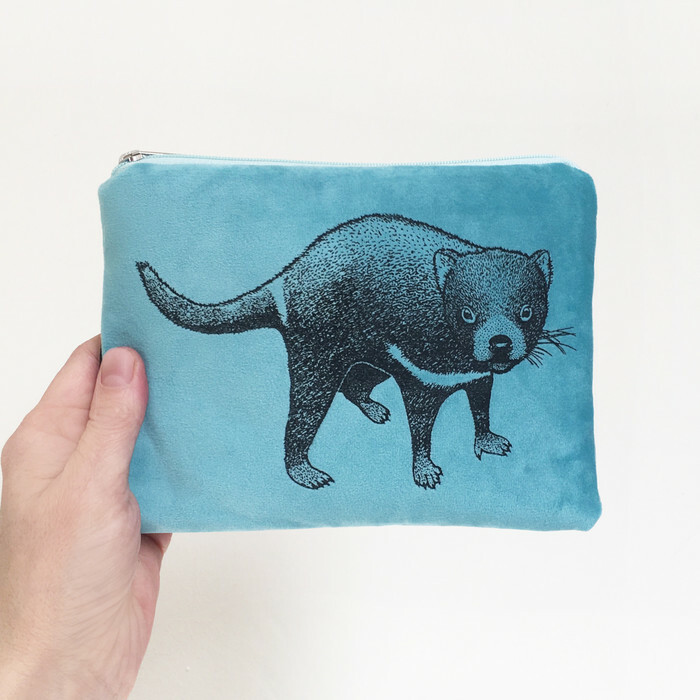 It features a screen printed Tasmanian devil on the front, which is my own original illustration. 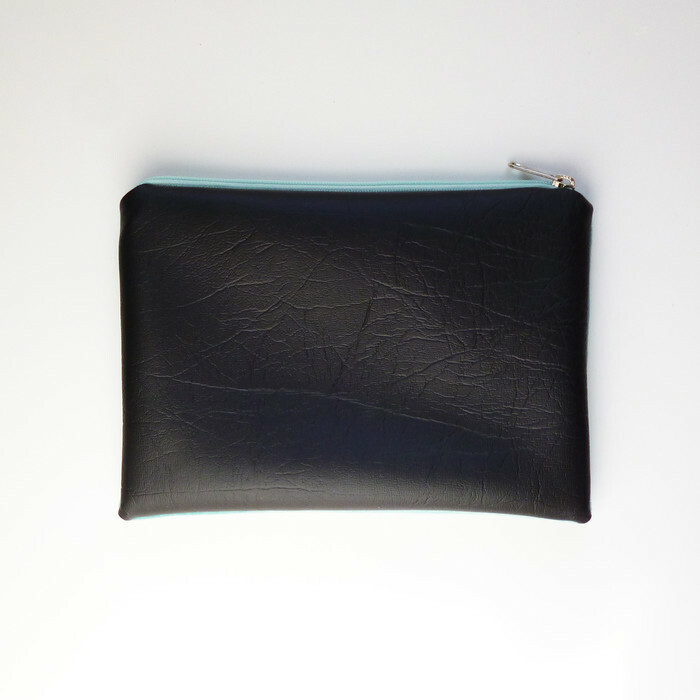 You can use this pouch to hold your makeup, your travel documents or your cards and cash. Featuring one of Australia's most iconic animals, it would make an excellent gift for a loved one overseas. 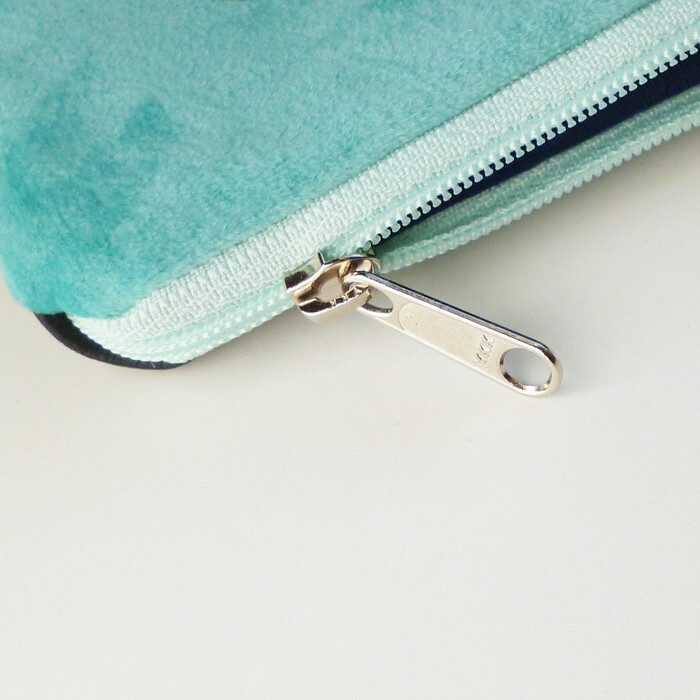 This pouch measures 20cm x 15cm, is lined with a hard wearing fabric, and the zipper is the highest quality YKK brand. Please note the lining fabric colour may vary. The reverse side is black vinyl. Your item(s) will be shipped within 48 hours. Please contact me if you have any questions, I am willing to accommodate special requests.